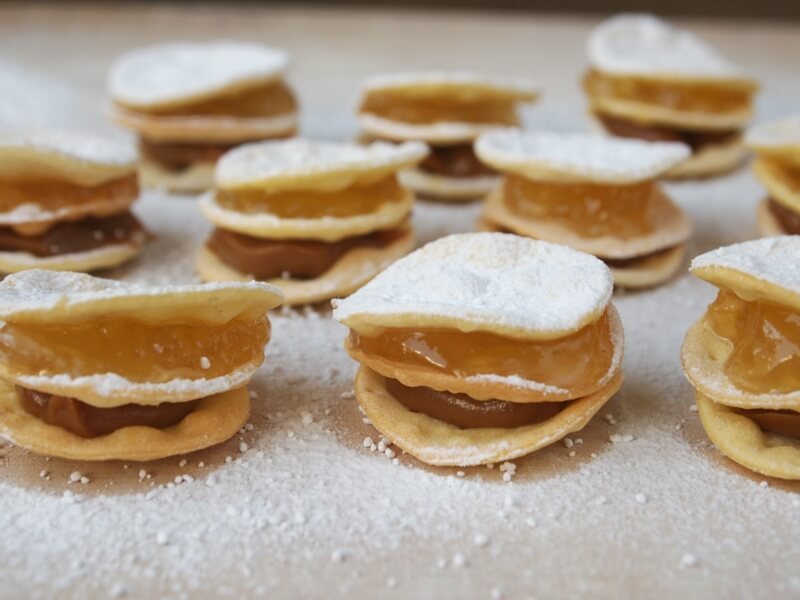 These beautiful sweets are one of my birthday-table favorites, along with alfajores, mana, bolitas de nuez,melcochas de chocolate, yemecillas, encanelados, and many other lovely sugar confections. In Lima, you can find them in many bakeries, grocery stores and coffee shops, but there is something rewarding -and relaxing- about making them with your own hands. Flour, salt, egg yolks, and Pisco. Only these four ingredients are necessary to make this versatile dough that can be fried for guargüeros, or baked for voladores. But today it’s all about the former, our sweet and delicate guargüeros filled with manjarblanco. 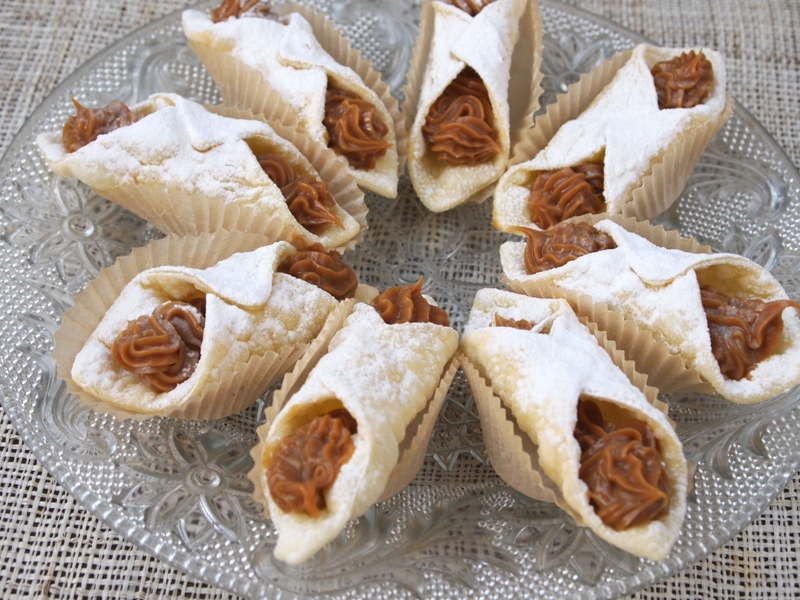 To make them I´ve used a shortcut, I have to confess: I used canned manjarblanco (dulce de leche). It’s up to you if you want to make your own with fresh milk, sugar, and cornstarch or rice flour, or skip this step and devote more time to enjoying the finished product. 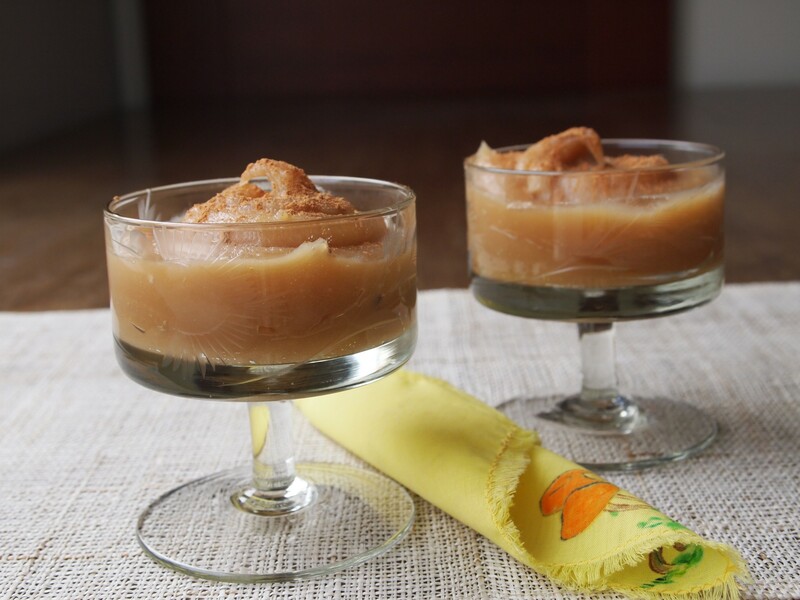 I have to warn you that as delicious as this white and creamy manjarblanco is when prepared at home, it’s very time consuming, and your sweet tooth may not be willing to wait. 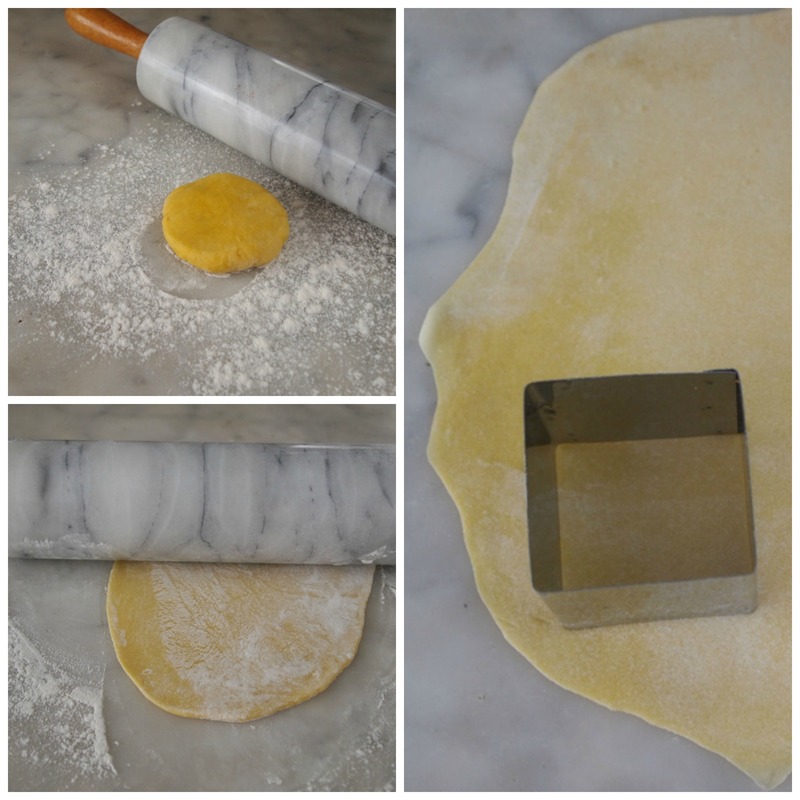 To roll the dough I used my old marble rolling pin because I needed a very thin, almost transparent layer; but you can use a wooden rolling pin and your strong arms. 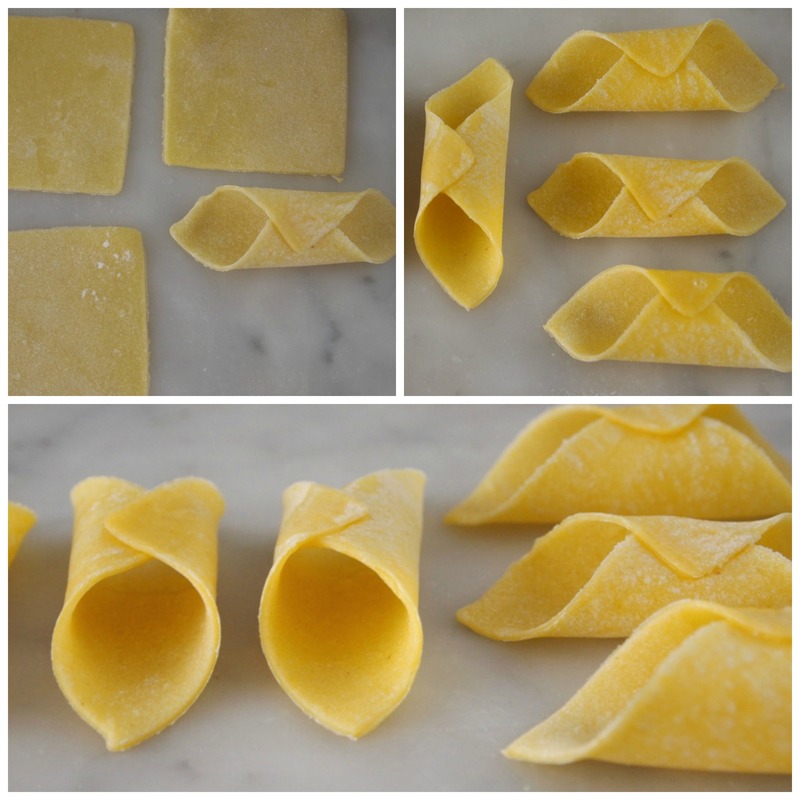 If you have a pasta maker, (the one used to stretch pasta dough in different settings), by all means use it. 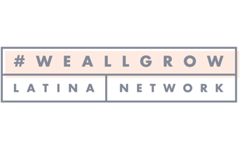 It will make your job much easier, and you will be ready to go in just a few minutes. Heat about 2 inches oil to deep fry the pastries. After frying them and letting them cool they won’t be crispy, but will have a tender texture that melts in the mouth, and a neutral flavor, perfect to showcase the sweetness of manjarblanco. 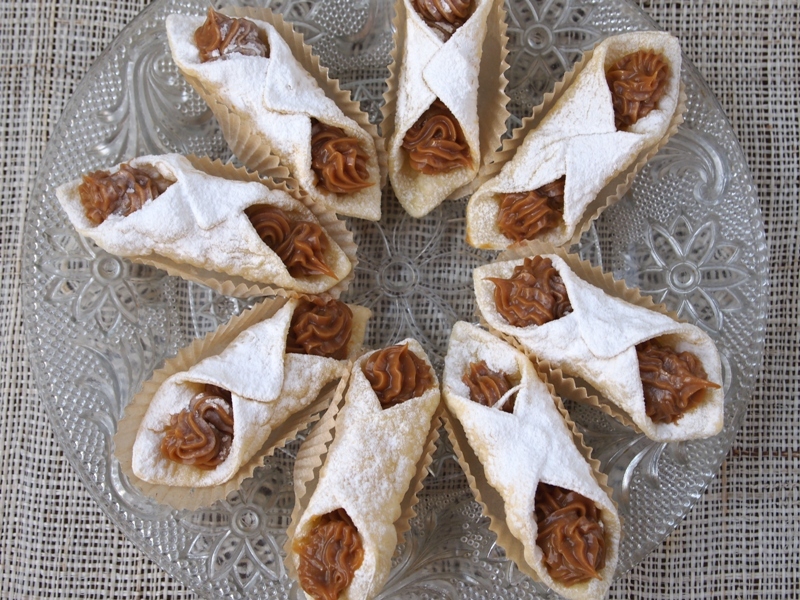 When cool, fill them with manjarblanco using a pastry bag with a rosette tip, and as the final touch, dust them all over with confectioners sugar. Eye and mouth candy! Sift the flour and salt. Put it in the table and make a well in the center. Add the egg yolks and Pisco. 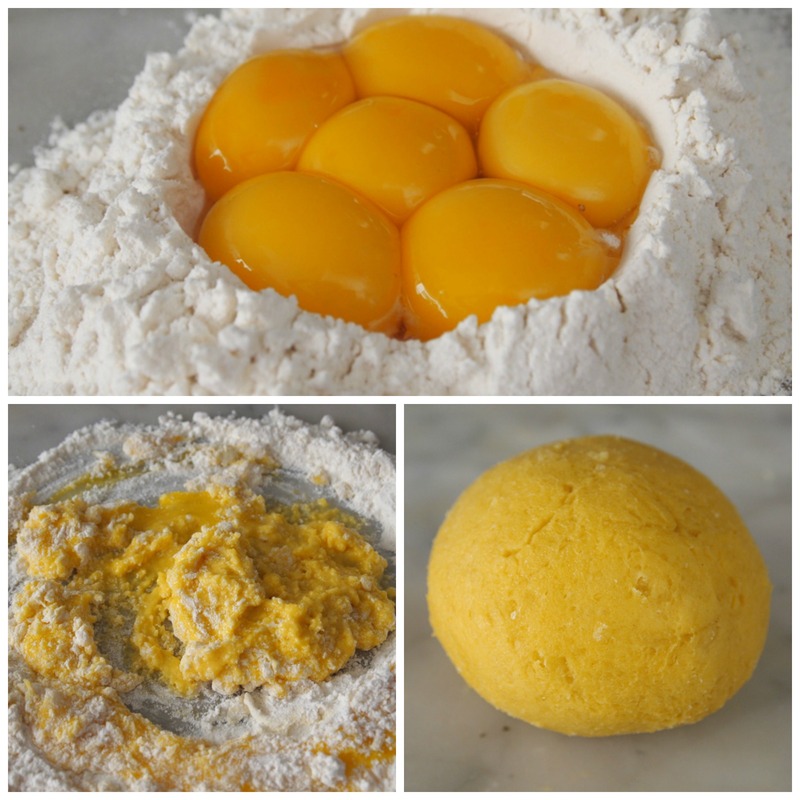 With your fingers, start to incorporate the flour with the yolks and Pisco, until a dough is formed. Knead with your hands until the dough is elastic and doesn´t stick to your fingers. Form a ball, cover with plastic wrap or put in a plastic bag, and rest at room temperature for about 20 minutes. Sprinkle the table with flour. Take a small portion of the dough and roll with a rolling pin until very thin. You should be patient and keep rolling, until you get a perfect, smooth layer. Cut in squares of 5.5 cms per side (about 2.15 inches). 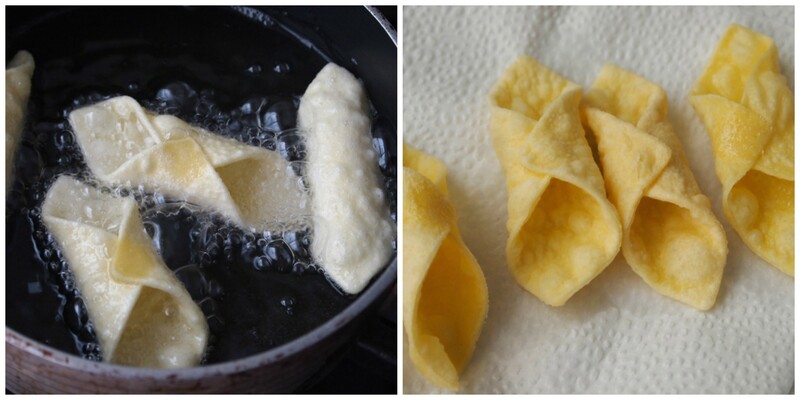 Place an egg white drop in one of the corners and roll over, pressing together with the opposite corner, forming a napkin shape (see pictures). When very hot, fry the guargüeros for 2-3 minutes. They will float when they are ready, but do not let them brown. Transfer to a plate or a wire rack covered with paper towel, and let them cool. 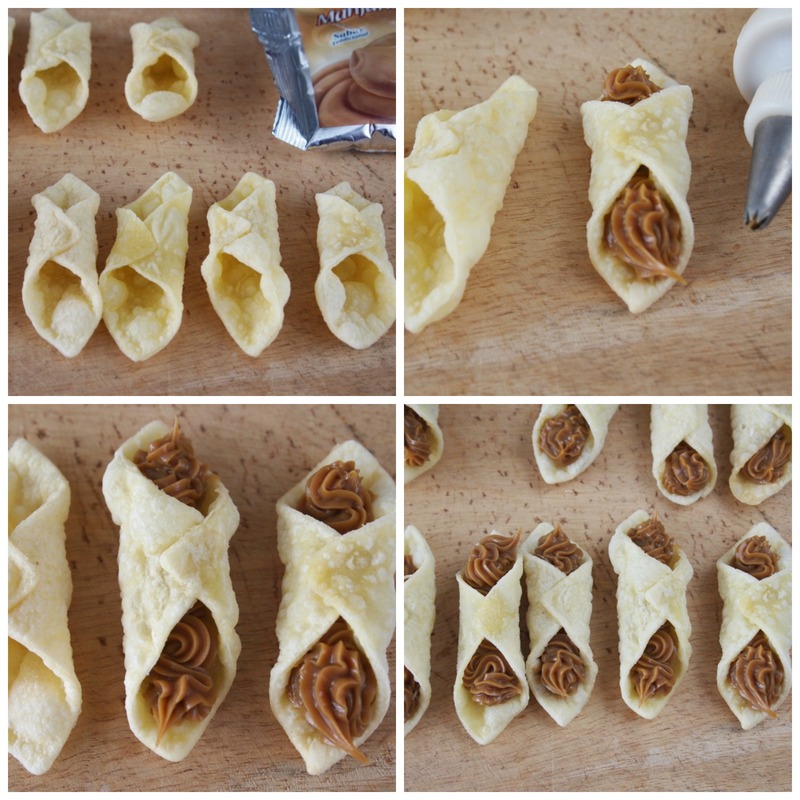 Put the manjarblanco or dulce de leche in a piping bag with a rosette tip, and fill the guargüeros. 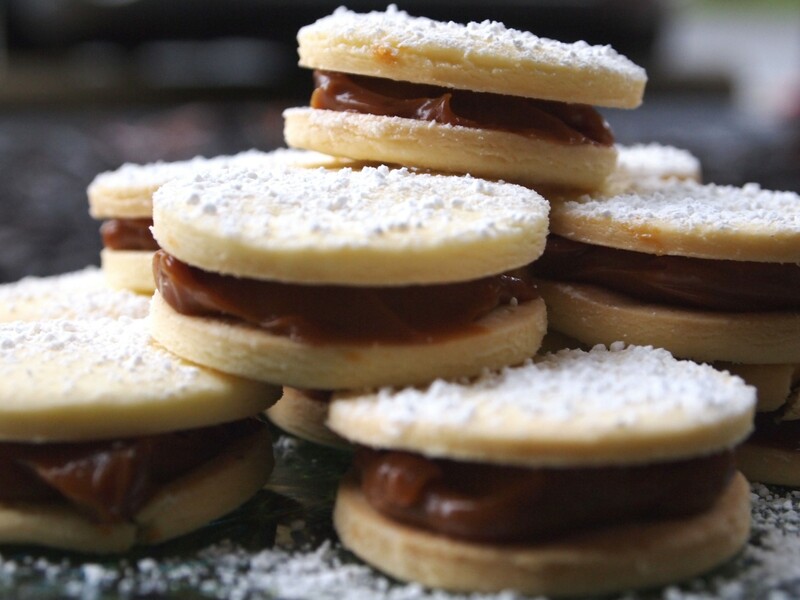 Sift confectioners´ sugar over them and serve. *You can make the cookies in advance and keep them in a sealed tin. Fill them with manjarblanco when ready to serve. Aren’t they delicious Rosa? SO addictive!